Last year, the British Theatre Consortium and UK Theatre/Society of London Theatre produced a report, British Theatre Repertoire 2013, based on the programmes of 273 auditoria, the most extensive and detailed dataset ever compiled on British theatre’s repertoire. The most striking finding was that, for the first time since records began, new work had overtaken revivals in the British Theatre repertoire. British theatre continues to defy austerity. In 2014, British theatre made over a billion at the box office. 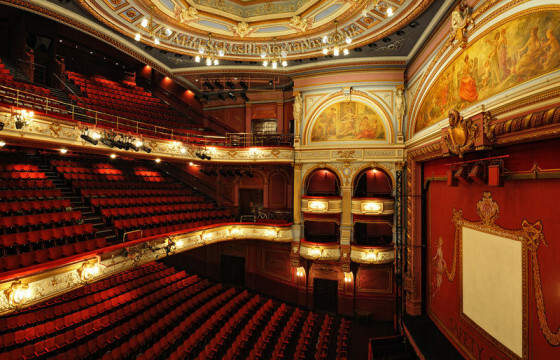 London theatre pulls further away from the rest of the UK in a theatre landscape dominated by long-running musicals. New work remains ahead of revivals, with a small decline in new writing and a marked increase in devising. Classical revivals are dominated by Shakespeare and women’s revivals by Agatha Christie. More than half of the National Theatre and RSC new plays are by women.